Peeps! It's that time of year! They are everywhere! What better item to use in our second to last GEMS (Girls Excelling in Mathematics and Science) after school club meeting?!!! 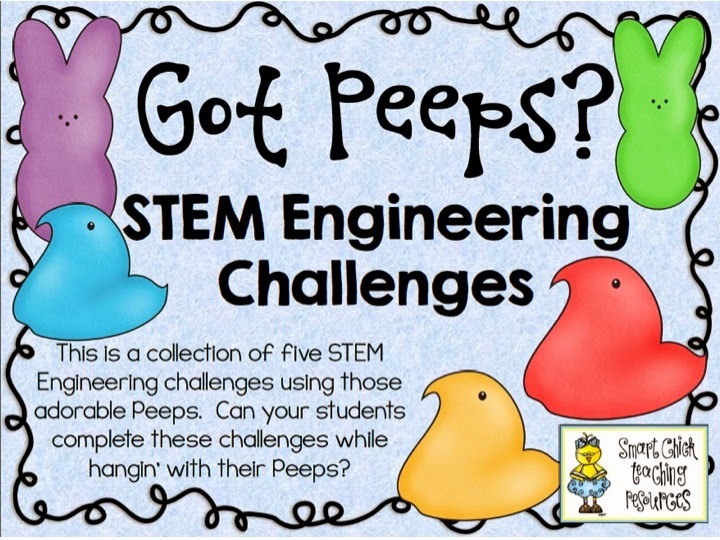 Smart Chicks has Peeps STEM activities! 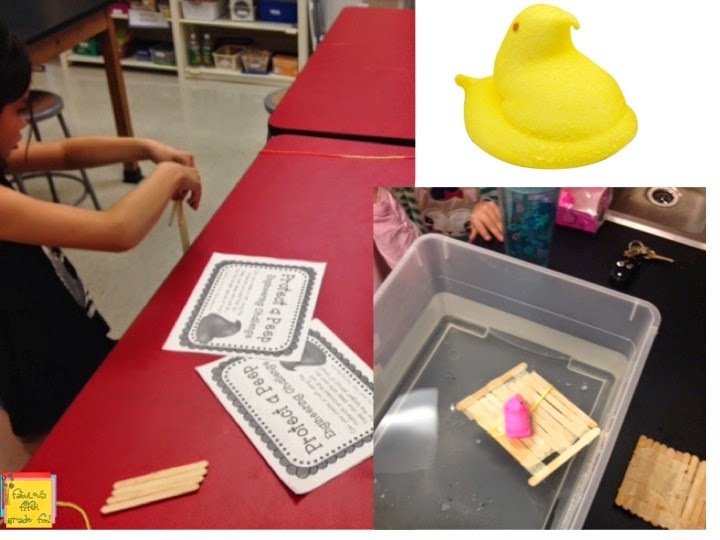 Her "Got Peeps" packet was perfect for our STEM challenge. I didn't get any strange looks at the check out ! After looking through the 5 different types of Peeps challenges, I selected . . . It's interesting when you are seen hauling in tons of Peeps, the stories you hear. Either people love them or . . . dislike them . . . immensely! What's really interesting is how Peeps lovers have a story to tell about how they eat their Peeps! For me, it's half a Peep and I'm good until next year. 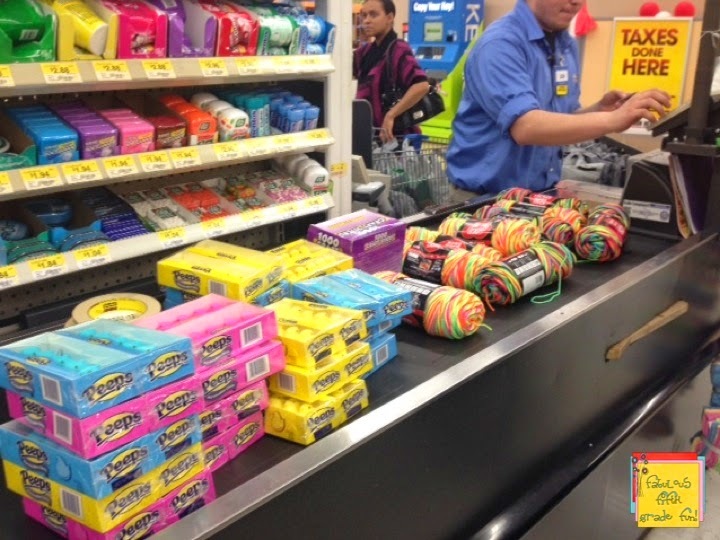 ~Eat half the box while shopping, pay for them and then ask the cashier to throw the rest away. ~ Nuked in the microwave! But, I digress! Back to the challenge . . . 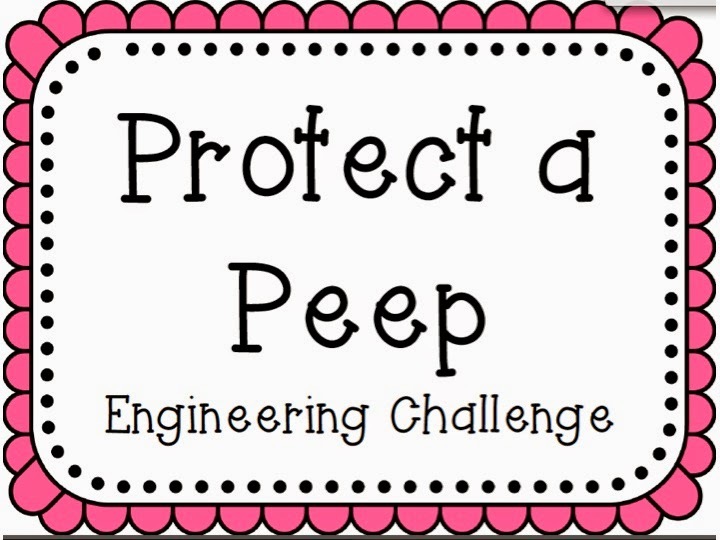 The girls were super excited to take on the challenge of protecting their Peep! What I love about our GEMS club is that every design is different, we celebrate failure, we redesign, and we laugh! These girls know they can take a risk and there is no judgement. 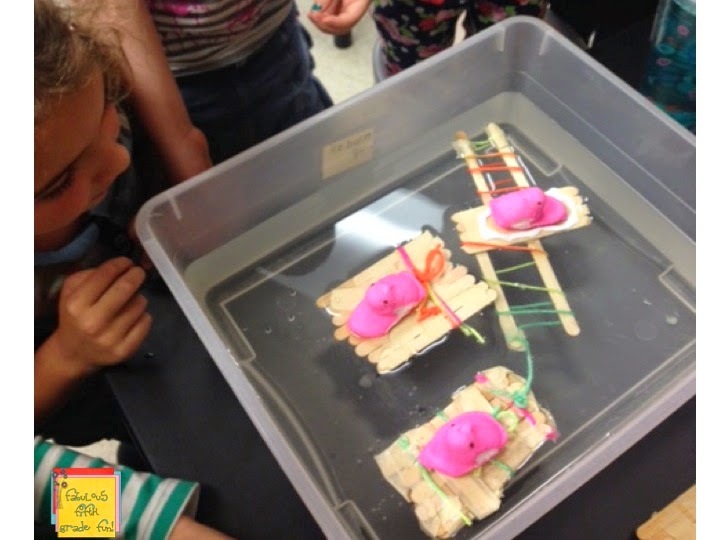 They get that science is fun. They understand that if they ask a question, a question will be directed back to push them to problem solve. There are those moments when you know all is right in the universe! When, from a distance, you listen to the conversation in the room . . .
"I'm soooo doing GEMS next year!" "I don't want GEMS to end!" "I've been doing GEMS since I was in first grade (2nd grader) and I'm doing it until I leave Woodridge!" It's at that moment that you know that the work you've put into it, has made a difference. I have to be honest, I was going to take a break from GEMS. It's challenging to come up with different activities twice a month, for 2 years, but after hearing this . . . GEMS must continue. How can it not? To all my little Peeps, GEMS will continue!